Home » CTC Governance Matters. I am currently in Japan. Lynette and I have spent a couple of weeks visiting our son Mike and his family in Tokyo, but today we took a train south-west to the tip of the Izu peninsula and my plan for tomorrow is to hire a bike and explore some wild coastal scenery. Being away, I have yet to read the April ‘Cycle’ but I gather from facebook that it has generated a great deal of comment. 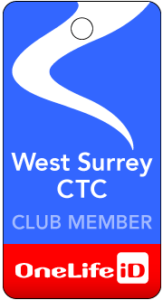 I hope the WSCTC Committee will consider the rebranding and the proposed governance changes and come up with a plan for action at the CTC AGM on 7 May. I shall be going, and am more than happy to act as proxy for anyone who wishes to vote but cannot attend. Instruct me how to vote on each agenda item, or leave it to my discretion, whichever you wish, but please, please vote. Maybe the committee will make clear how it regards the changes, and possibly suggest action, to ordinary WSCTC members. It now seems clear that if the recent actual and proposed changes, introduced in a totally undemocratic manner, are not challenged, then the CTC will never again be a club nor focussed on touring. The current management have managed to achieve this because not enough members have voted in the past, so please make sure you vote this time. The CUK Charity tail is wagging the CTC dog and I fear that soon all that will be left will be a disembodied tail wagging its death throes.